Friends, pupils, and colleagues honored, during 2013, three distinguished American musicologists with Festschriften saluting lifetime achievement. 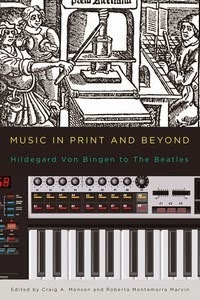 Music in Print and Beyond (University of Rochester Press), edited by Craig Monson and Roberta Marvin, honors Jane Bernstein. It includes a baker's dozen essays on topics ranging from Hildegard of Bingen to Handel, Mozart, Beethoven, IRCAM and Abbey Road. Publisher's webpage HERE. 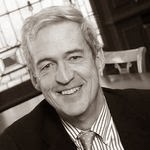 Bernstein, a former president of the American Musicological Society, is Austin Fletcher Professor of Music at Tufts University in Medford, Mass. 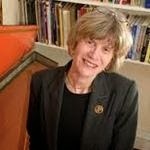 Her books include Printing in Renaissance Venice: The Scotto Press (1539–1572) (Oxford UP, 1998), Print Culture and Music in Sixteenth-Century Venice (Oxford UP, 2002), and Women's Voices across Musical Worlds (Northeastern UP, 2004), as well as numerous editions of sixteenth-century music. 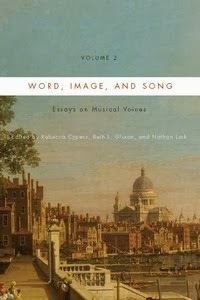 Words, Image, and Song (University of Rochester Press), a two-volume set edited by Rebecca Cypess, Beth Glixon, and Nathan Link, honors Ellen Rosand. Publisher's webpage HERE. 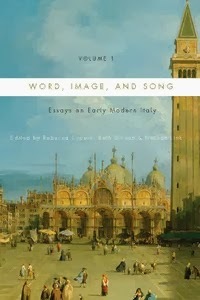 The first volume, Essays on Early Modern Italy, explores the numerous connections between music, poetry, and the visual arts in the early Modern period (separate webpage HERE). The second volume, Essays on Musical Voices, considers the notion of “musical voice” in repertoires ranging from the Baroque cantata to the nineteenth-century autograph albums of Charlotte de Rothschild (separate webpage HERE). Some 30 contributions, altogether. Rosand, Professor of Music at Yale University, is also a former president of the American Musicological Society. 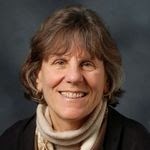 A noted authority on Italian opera from Monteverdi to Handel, her books include Opera in Seventeenth-Century Venice: The Creation of a Genre (University of California Press, 1991) and Monteverdi's Last Operas: a Venetian Trilogy (UC Press, 2007). 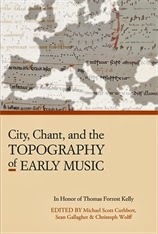 City, Chant, and the Topography of Early Music (Harvard University Department of Music: Harvard Publications in Music, book 23), edited by Michael Scott Cuthbert, Sean Gallagher, and Christoph Wolff, honors Thomas Forrest Kelly. The collection examines the ways plainchant and other musical genres are shaped by their connection to culture, geography, and politics. Publisher's website HERE. Fun Festschrift fact: musicology makes an “unusual” appearance in the Wikipedia article on "Festschrift" (We swear we had nothing to do with this.) Happy New Year! Michael Accinno is a Ph.D. candidate in musicology at the University of California, Davis, and assistant editor of Musicology Now.